Airport transportation and shuttle service in Towson Maryland has been the signature hallmark of Executive Car Service for several years. Towson encompasses lots of wonderful hospitals and colleges, and we have been there to transport local residents, out of state people on business, students, and patients to/from BWI, Dulles, Reagan and Philadelphia Airports promptly and safely for a long time. As a community based company, we always try our possible best to provide good service at a price that is normally cheaper than the typical filthy Towson taxi in Maryland. All our vehicles are well maintained to ensure your safety. Our professional drivers are well trained, friendly, polite and always ready to drive you to your destination safely and on-time. 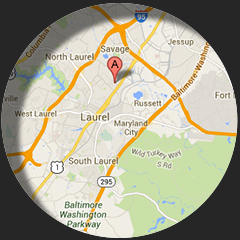 Our sedan services in Towson Maryland runs 24/7/365 for your convenience. So if you need a ride to go to an Orioles or Ravens game or to/from the airport or a night out, no worries at all. We offer hourly car service that is affordable and convenient than other limo service companies in Towson Maryland. All you have to do is make an easy online reservation on this site today, or call our dedicated customer service reps at 410-975-8200 to customize your trip now. Don't wait. Enjoy your ride and have a safe trip.